Victoria Donda, a found-grandchild born to imprisoned parents at the ESMA (Navy School of Mechanics), a clandestine detention centre, has recently been elected as the youngest National Congresswoman in Argentina's history. 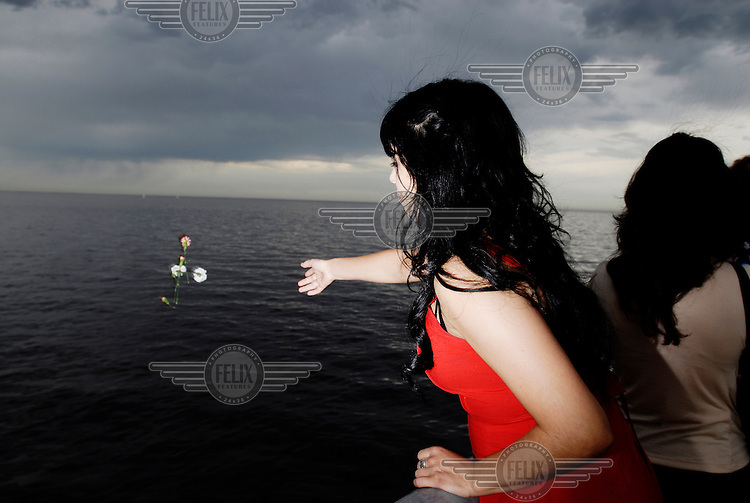 She is pictured throwing flowers into the River Plate after the unveiling of a memorial to victims of the 1976-1983 Dirty War conducted by the Argentine government as part of Operation Condor. The names of thousands of those killed or 'disappeared' have been etched on a wall alongside the river, where many bodies were dumped from planes.